Marketing activities in Europe by Kaneka, one of Japan’s key OLED lighting panel companies, is attracting attention. Kaneka, the only company with active European marketing out of many OLED lighting companies in Japan, participated in Euroluce, a biennial event, in 2013 as well as 2015. 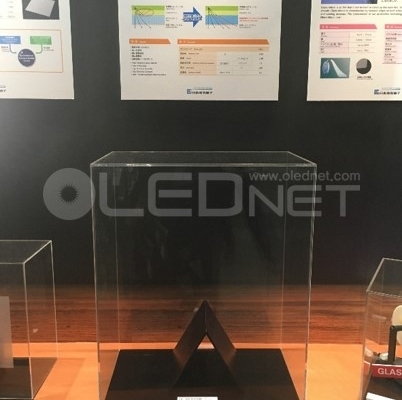 Unlike most of Japanese OLED lighting companies whose promotion activities are focused on their domestic market, Kaneka is enthusiastic regarding lighting exhibition in Europe. This is analyzed to be because Kaneka is aiming for market expansion into Europe and North America, as well as Japan’s domestic market. Kaneka explained that, “OLED lighting is suitable for European customers who consider design and diversity to be important as they have good energy efficiency, thin surface light source, soft light, and ability to produce various colors”, and revealed “increasing European consumers’ awareness of OLED lighting is the priority assignment and the main reason for this exhibition”. 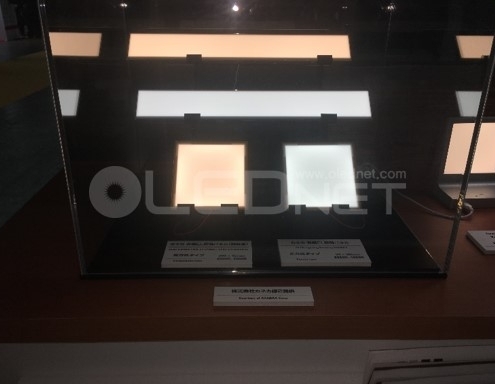 In Euroluce 2015, Kaneka exhibited OLED lighting panel with 50 thousand hours of lifetime with 1.05mm thickness. They presented 5 colors of white, red, amber, blue, and green with 3 different panel sizes of 80x80mm, 100x100mm, and 143x23mm. Kaneka possesses a manufacturing line that can produce 20,000 panels per year, and in past have announced their target of approx. 50 billion Yen in revenue by 2020. The life of OLED lighting panel is improving equal to the level of LED (more than 50,000 hours). According to the NIKKEI report, Kaneka developed the OLED lighting panel with a lifetime of 50,000 hours. The panel is 8×8 cm in size and 1 mm thick, and samples are shipped to some lighting companies. Applying enhanced Blue material, the color change due to thermalization has dropped under 40% and the price is about the same. KANEKA is producing OLED lighting panel with an annual capacity of about 20,000 panels. 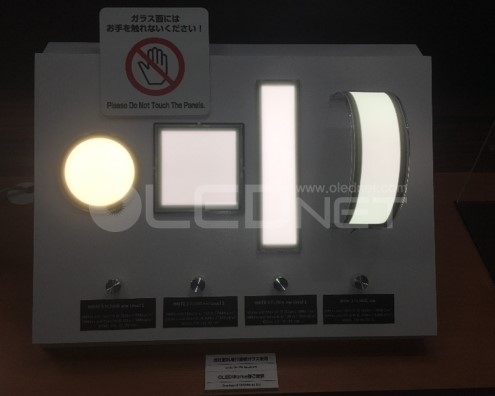 In the Lighting fair 2013, the company exhibited OLED lighting panels of 50x50mm and 80x80mm sizes in diverse colors of white, yellow, red, green, and blue which are currently sold at about 4,000 yen for the 50x50mm panel and 6,000 yen for the 80x80mm panel. The OLED lighting panel with the longest lifetime on sale is LG Chem.’s 100x100mm panel with 80lm/W and 50,000 hours. 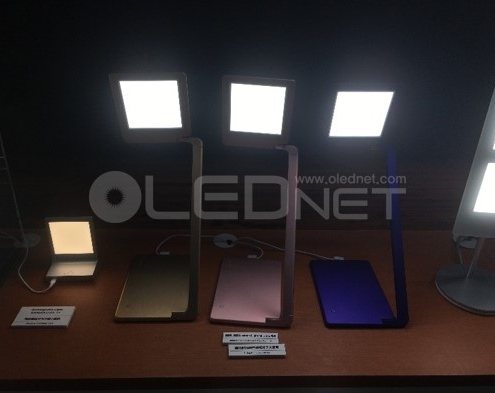 The UBI Research issued “2014 OLED lighting Report” prospecting the OLED lighting panel market to be open actively from 2015 and reach about US $ 4,700 million by 2020.